The SWTJC Adult Education and Literacy Program is a federally funded project (since 1973) that provides adults the opportunity to improve their literacy levels and skills, thereby increasing their ability to function in the complex society and job market of the 21st Century. The project operates an 11 county region that includes Dimmit, Edwards, Frio, Kinney, La Salle, Maverick, Medina, Real, Val Verde, Uvalde, and Zavala counties. Adult Education and Literacy provides comprehensive English literacy services with basic instruction in reading, writing, and mathematics to adult learners. In addition, adult education programs provide workplace literacy services and family literacy services. Performance indicators include placement in, retention in, or completion of, postsecondary education, training, employment or career advancement in addition to receipt of a Texas Credential of High School Equivalency or GED. In communities across the Lone Star state, adult students gain the education necessary to find and keep jobs working in the highly-skilled occupations that increasingly characterize the Texas economy. AEL programs help Texans build a strong foundation of academic skills in order to fulfill their roles as workers, parents, and citizens/community members. How Do Adults Participate in Adult Education and Literacy? There are several qualifications an individual must meet in order to be eligible to participate in an adult education class. He/she must be at least 17 years of age (16 if court ordered) or older. Additionally, he/she must lack a high school diploma and/or function at or below 12.9 grade education level, and not currently enrolled in secondary school. 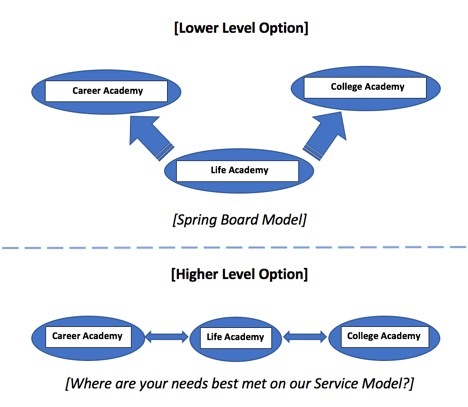 New to AEL starting in 2018 - 2019 will be the Academy Model approach to ensure that students can more directly identify a program of study within services that address their objectives. Transition to Higher Ed. ; Training; and/or the Workforce. Because we are your How. SWTJC has exciting transitional programs in several areas! A TXCHSE (Texas Credential of High School Equivalency) can provide individuals greater benefits in continuing to college or success in the workplace. Students in our HSE classes learn to follow multistep directions, read more complex forms and manuals, can integrate and interpret information. English as a Second Language (ESL) Classes help students work toward becoming proficient in the English Language. Individuals who cannot speak or understand English as well as those who can understand and communicate a basic level can benefit from enrollment in our program. Individuals seeking preparation for the U.S. Naturalization exam can benefit from enrollment in our citizenship classes. The classes go far beyond the naturalization process by integrating civic participation into English as a Second language instruction.